[SOLVED] Pixelated edges on sprite? Mr.Hal was right, after using the suggested import settings Eric5h5 shared and testing on a retina device, I confirm that the problem is with the Unity preview window and I can't base the final result quality off of it. The following is a triangle sprite exported from vector creation software, when exported the edges are smooth. When I import the sprite into unity for use, the edges are pixelated. I would like smooth crisp edges. Sprite texture size before placing in unity is a png 960x960. I have tried smaller and larger sizes, all are pixelated when imported into unity as a sprite. Can I see your texture import settings? 16-bit, NPOT, trilinear like Eric5h5 suggested, still the same result as above :( Looks fine in editor window, but not in game window. Try making a mesh for this, Shouldn't be hard to make in a program like Blender or 3DS max. To get those crisper edges you would still need antialiasing but at least it would be much more smoother. Also check to see if anybody made a plug-in for this "Vector creation" app or script somewhere that will convert vector art to a obj file or something. 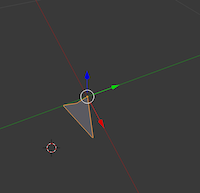 I did research and blender can import svg files and export them as obj's. Alright i'll try it, downloading blender. Okay, followed the instructions, exported as both .fbx and as .obj. :( still pixelated, thats with anti aliasing. I desperately wan't crisp 2D graphics. Also, I have tested on 2 iOS devices and still see obvious pixelated edges which is not acceptable on a retina device. Maybe as 3D but not a 2D game. Anti-aliasing will do nothing since that only affects polygon edges. You should use a higher resolution for the sprite texture. The size of the sprite texture is 960x960 and I am scaling it down in the editor. 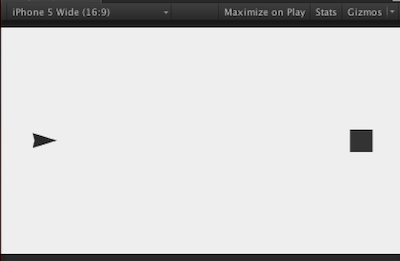 Settings are 16-bit, NPOT, trilinear filtering.